Got Plagues? You sure do now! The classic 10 plague collection consists of play items representing each plague for Seder and Passover play. 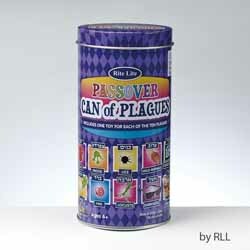 Now featured in an attractive & reusable tin container to keep your plagues ready for play, all Passover long!